Mention military police and I tend to think of over-zealous redcaps hauling in drunken soldiers caught brawling. Whilst this is one facet of their role, the 1st Airborne Provost Company spent more of their time actually fighting than actually acting as police. 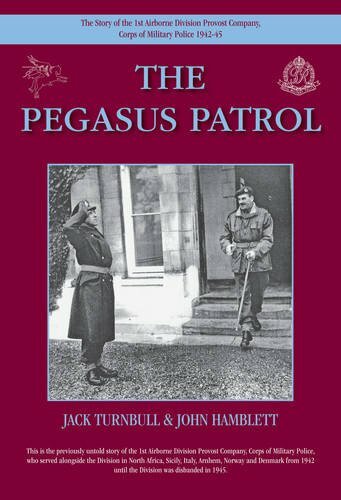 The unit was formed in 1942, and despite the ‘police’ role, the men had to through the same rigorous training as other paras in order to earn their wings. Following brief service in Tunisia, the men were dropped in to Sicily; as part of the invasion force they quickly reverted to soldiers rather than policemen as the landing was heavily opposed. The personal accounts of the men jumping from the gliders (or crash landing in some cases) are truly riveting. After the surrender of Italy, the men resumed their MP duties; policing the red light districts and bars. A large portion of the book is dedicated to the events that constituted Operation Market Garden, the airborne invasion of Arnhem. Again the narrative is illuminated by the personal accounts of those who took part – and survived the subsequent fighting. Several sections were involved in the invasion; No.1 section took over the police station in Arnhem to house German prisoners. As the Germans attacked the small band of men were left to defend the police station. Surrounded by German troops who were unaware of their presence they lay low, looking for opportunity to link up with the rest of the British force. On 19th September the Germans realised they held the police station and assaulted it, capturing the men inside, although three managed to escape. At the Ginkel Heath drop zone No.2 section had a similar role of watching over captured Germans. However they were forced to retreat to Oosterbeek. Again the personal testimonies are what make the book. The men were fighting for survival, and all of them were either killed, wounded, or captured. No.3 section landed at Wolfheze and were involved in the defence of the Hartenstein hotel, along with No.4 section (attached to Divisional HQ) until they withdrew. The book doesn’t end with the action at Arnhem; the war continued for the survivors, albeit as prisoners of war, and the personal accounts of some of these prisoners is included. One of the authors served with this unit, and the book is as much a personal tribute to them as a comprehensive history of the unit. The book is brought to life by the tenacity of the authors in tracking down remaining veterans of the unit for their recollections. Seeing the familiar names such as Oosterbeek, the Hartenstein Hotel, and Colonel Frost, serve as a reminder that these men were not bystanders but were in the thick of it, and paid the price alongside their airborne comrades.